In principle the Sitting Bull looks like a standard beanbag chair, but when reviewed closely it's really much more than that! This is the first collection of beanbags to cater for different interior design styles, even for your kids! The mini fashion bag is more than just an ornamental piece - it is an individual piece of furniture that can be seamlessly integrated into interiors that exude character. Due to its unique design it can be formed and shaped, at your discretion, for optimal sitting comfort. 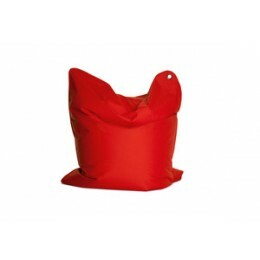 Its filling is not made out of standard shredded Styrofoam waste, like most low quality beanbags, rather it is from specially produced EPS beads that are extremely durable and higher in quality. Additionally, to Sitting Bull's advantage, the cover material's surface is made of sturdy, high quality Polyester that can be easily cleaned with a damp cloth. But, Sitting Bull's real test in quality is when you finally sit in it and then you know that there is absolutely no comparison! 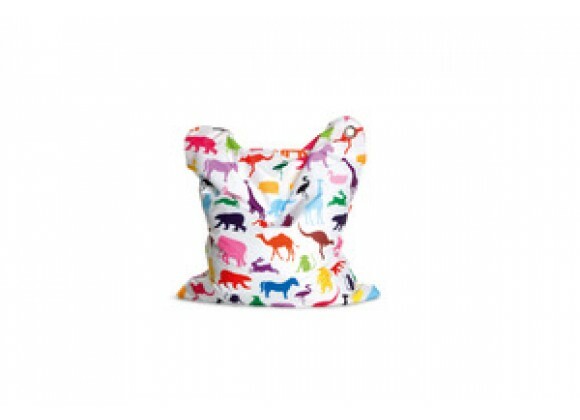 Removable / washable outer cover due to the presence of an inner bag. Fabric is made of 100% polyester, is water resistant and breathable. Filling is made of extra small EPS-beads (polystyrene foamed beads) of the best available quality. Yarn material is made of 100% nylon thread with triple stitching, non-aging, UV-resistant, extra strong and tear proof. The cover fabric was tested by an external laboratory and received a top quality assessment. Closure: Velcro 4 inches (10 cm) wide and zipper - extra strong and childproof. May be used as a chair, mat, or small mattress. Dimensions (inches) : 51" x 35" x 12"
Dimensions : 51" x 35" x 12"